Shop for antiseptic cleansers to treat your cat's wounds, cuts, and scrapes at VetDepot.com. Does your cat go outside? If so, there is a good chance that he or she might run into another cat at some point resulting in a fight. Scratches and especially bite wounds have a tendency to develop into abscesses in cats. Below is some basic information about bite wound abscesses in cats. "Once an abscess has been treated appropriately, healing usually occurs quite rapidly as long as a large amount of tissue damage has not occurred." The skin is punctured and bacteria gain access to deeper tissues. The skin seals and begins to heal, trapping the bacteria underneath. The body responds to the infection by sending white blood cells and other elements of the immune system to the area. Pus develops as cells break down and more white blood cells and bacteria join the battle. The affected area swells and eventually ruptures as more and more pus develops. Close investigation of the skin covering an abscess may reveal one or more puncture wounds that are in the process of healing (scabbed over). If an abscess has not yet ruptured, your veterinarian will lance and drain it. Next, the pocket under the skin needs to be flushed with an antiseptic solution. Both of these procedures usually require that the cat be sedated.If the pocket is large, your veterinarian may need to place a rubber drain through it to prevent fluid from building up again. 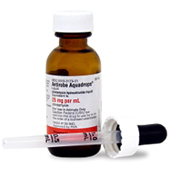 Feline antibiotics are usually necessary to deal with any infection that remains, and medications to relieve pain, inflammation, and fever may also be administered. When your cat returns home, your veterinarian may ask you to place a warm compress over the affected area to increase blood flow and promote healing and drainage. If an abscess has severely damaged the overlying skin, surgery may be necessary to close the open wound that results. However, this surgery cannot be performed until the infection has resolved and the deeper tissue has begun to show signs of healing. Once an abscess has been treated appropriately, healing usually occurs quite rapidly as long as a large amount of tissue damage has not occurred. Cats typically recover from an uncomplicated abscess within a week or so. If you are still noticing drainage, swelling, pain, or lethargy at this point, call your veterinarian. Two potential complications from bite wounds between cats are feline leukemia (FELV) or feline immunodeficiency virus (FIV) infections. 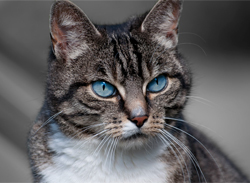 If your cat is bitten by another cat carrying one of these diseases, it is possible that she will become sick in the future. To determine whether or not a particular encounter has led to an infection, your cat should be tested approximately 60 days after being potentially exposed. FELV and FIV screening can be performed with just a few drops of blood and results are available within minutes when in-clinic tests are used. All outdoor cats should be tested annually for both FELV and FIV.